The EMT 250 Digital Reverb uses high-value digital words (12 bit, quasi 15 bit) to virtually eliminate intrinsic and quantizing noise. Approximately 500 integrated circuits, 125 K bits stored in RAM and 16 K bits in ROM. Operating speed, 50 ns per instruction. the feedback factors being dependent on the switch settings on the control panel. 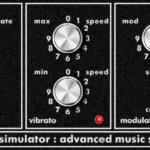 This program produces four delay channels. Each of the four outputs can be shifted in steps of 5 ms over the complete range from 0 to 315 ms and without affecting any of the other outputs. One variable length delay element is feedback in a way such that the output level is reduced by approx. ‘1 dB per circulation of the loop. There is a repetitive signal with decreasing intensity: the slap echo program. The repeating frequency can be varied between approximately 3 Hz (= 315 ms) and 200 Hz (= 5 ms). The program ‘Space’ is a reverberation program of extremely long reverberation time (about 10 s) and with linear distribution of the reverberation time with frequency. Because of atmospheric absorption neither exists in nature, and since the program is intended, amongst others, for science fiction productions, it is designated Space (Reverberation in outer Space). The chorus program results from the consideration that the impression of a large music ensemble is brought about by a certain imprecision, referred to a main microphone. Under the assumption that all musicians of an orchestra are playing absolutely simultaneously, the sound signals originating from each of their positions arrive at the microphone one after the other. There are continuous variations in pitch and positions of tones relative to one another. These variations, of course, are very minor, but they are present and are necessary to enable a correct musical impression of a large musical ensemble. The phasing effect originates by means of a small shift in time of two signals to one another and by the comb filter curve which is thereby formed. Changing the delay lime is done by means of a 16 step switch through a low-pass filter. The speed of the phasing effect, therefore, can be controlled, within a certain framework, through the speed at which the switch is changed. Stereo phasing is a new application allowing interesting, shifts of perceptual location to be achieved. The TC Electronics DVR250-DT is a groundbreaking reverb unit, that brings the iconic EMT 250 Electronic Reverberator to your DAW. With its original fusion of hardware and software features, it captures the amazing sound and unique tactile controls of the world’s first commercial reverb box. The EMT® 250 Classic Electronic Reverb plug-in for UAD-2 and Apollo interfaces is a faithful emulation of the first digital reverb/modulation effects unit introduced in 1976. Still regarded as one of the best-sounding reverb units ever made, the EMT 250 continues to leave an immeasurable mark. 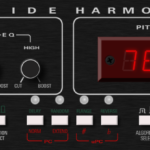 Slate Digital VerbSuite Classics is a partnership with LiquidSonics, and uses proprietary FUSION IR processing to capture the evolving and modulating characteristics of the modeled hardware reverb tone, including the iconic EMT-250 Digtial Reverb.